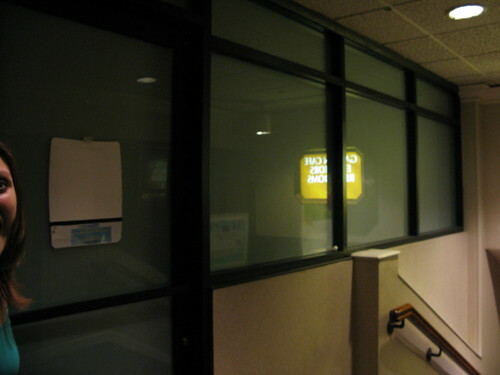 A random hallway off the casino floor contained a set of office that, like the bus terminal, had their windows covered with an opaque white covering. For that reason, I can only assume that these areas were also abandoned. The office on the left once belonged to a Licensed Clinical Social Worker, or LCSW. They apparently regularly maintained office hours at the casino. I can't imagine why, though. What responsible social worker would meet a problem gambler at a casino?